Today I called the cardiologist today to get the results of Ben’s testing. The reason for this testing was to answer the question: Why is Ben’s blood pressure (B/P) so high after his last surgery? We still have more questions than answers but this is what we learned . . . The flow to the kidneys is high (it is suppose to be around 70 and Ben’s is around 400). The doctor said that this may be caused by any number of issues including obstruction in the descending aorta. 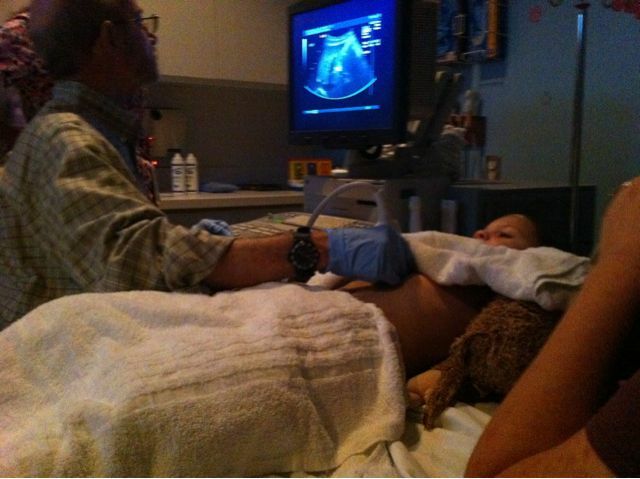 Usually in these circumstances, the patient would go back to the clinic for an ultrasound of the aorta, Dr. Altman is “tired of all these tests” and chosen to be more aggressive and find out what is going on with Ben’s B/P. She has scheduled a cardiac MRI on Sept. 9 at Texas Children’s Hospital which will take a picture of his entire cardiovascular system. This will help eliminate or answer the questions for the doctor if Ben’s B/P is a “plumbing problem” or if it is something else. All of this is very distracting and hard on us as parents right now. 6 years ago we never thought we would live a life where we go day to day wondering about the safety of our child because of some cardiac issue. Days like today don’t help. We do not know . .
* what happens if there is an obstruction although our best guess is that we will fix it. Ben and the rest of our children DO NOT know about any of this. Our plan is to inform Ben prior to the MRI but he will be sedated for this which means a possible IV and Ben has strong feelings about needles. So hear us out on this one. Don’t ask either I or Katherine about this at church. Call us on the phone if you want to know more but public conversation is not helpful at this point. We ask for your continued prayers for Ben. He is such an awesome boy who cleans his room sometimes, plays with transformers like a wild genesis, and makes his sisters mad but does not deserve any of this, but must go through it. Posted on August 11, 2010, in Uncategorized. Bookmark the permalink. 1 Comment. Letting ya’ll know Ben and your family are in our prayers.